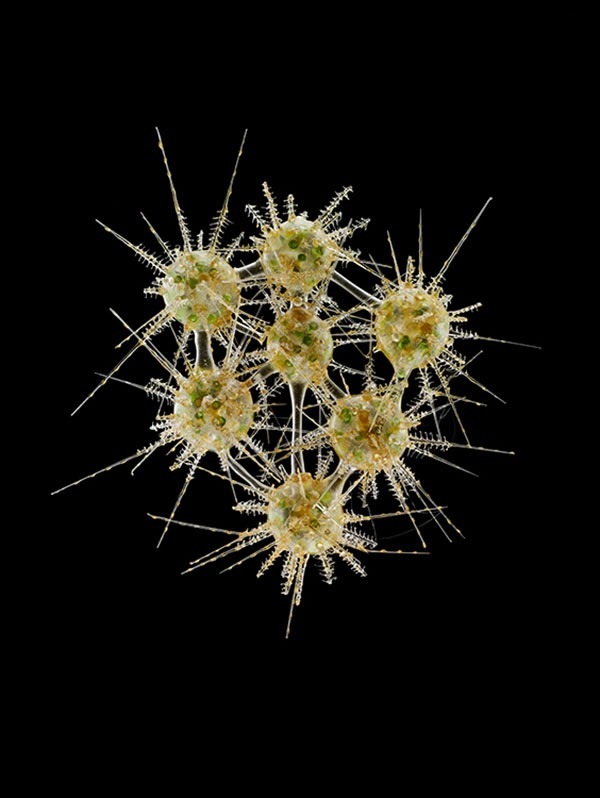 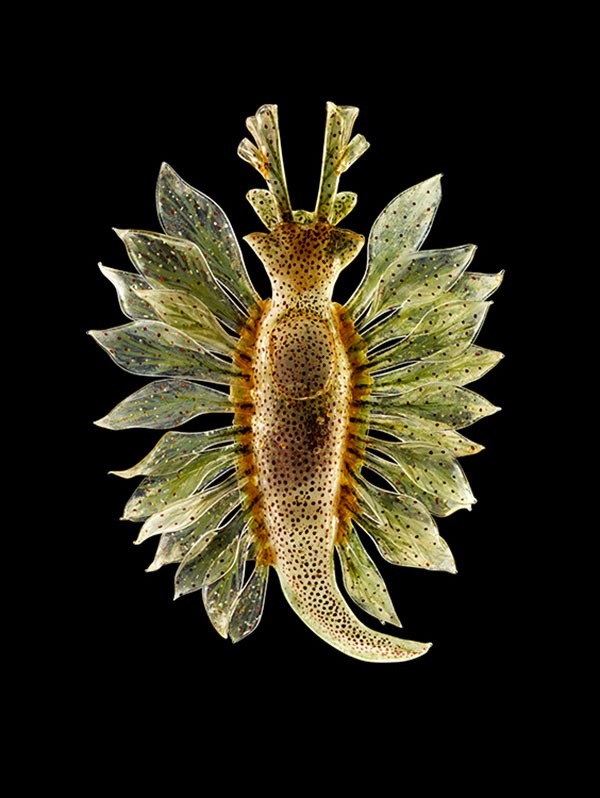 Photos of glass models of invertebrate animals, from the collection of a few natural history museums, set against dark backdrops and illuminated with artificial lighting to emphasize colors and textures. 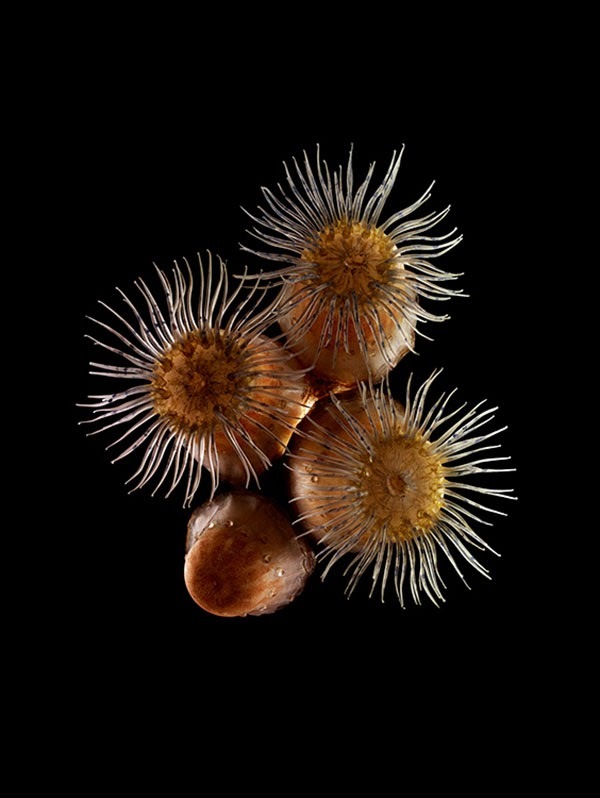 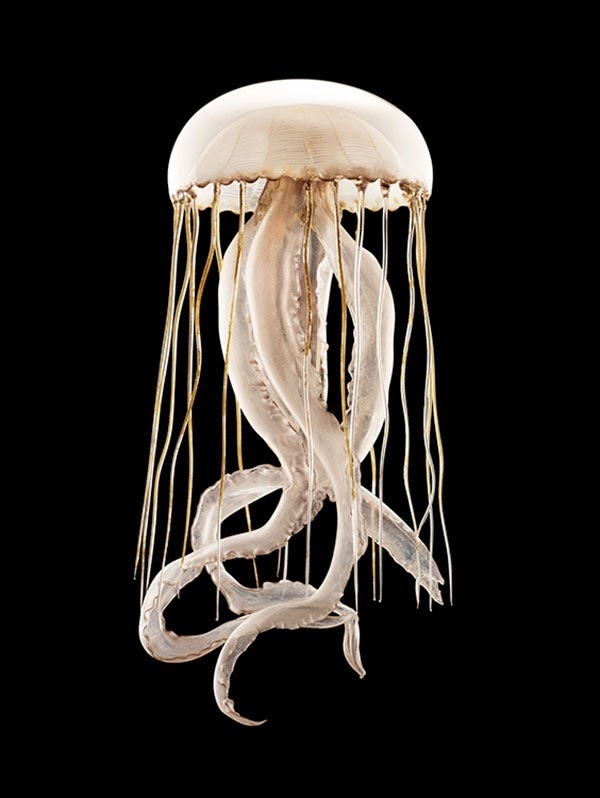 Guido Mocafico's fascination with Leopold (1822-1895) and his son Rudolf (1857-1939) Blaschka's glass models of invertebrate animals (jellyfish, snails, sea anemones, corals, hidroids, starfish, sea-cucumbers, squid, seaslugs and bivalves) and plants are paid homage to in this series, in which Mocafico portrays the Blaschka's dedication to their craft. 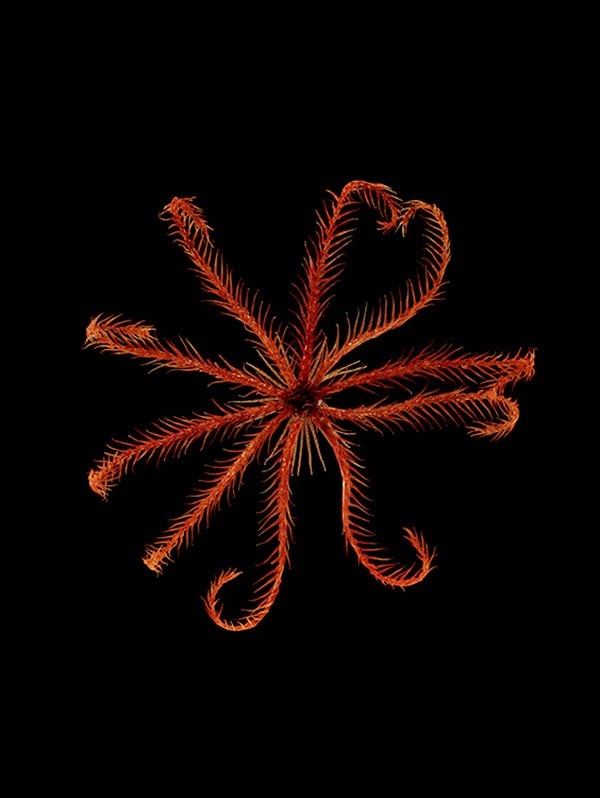 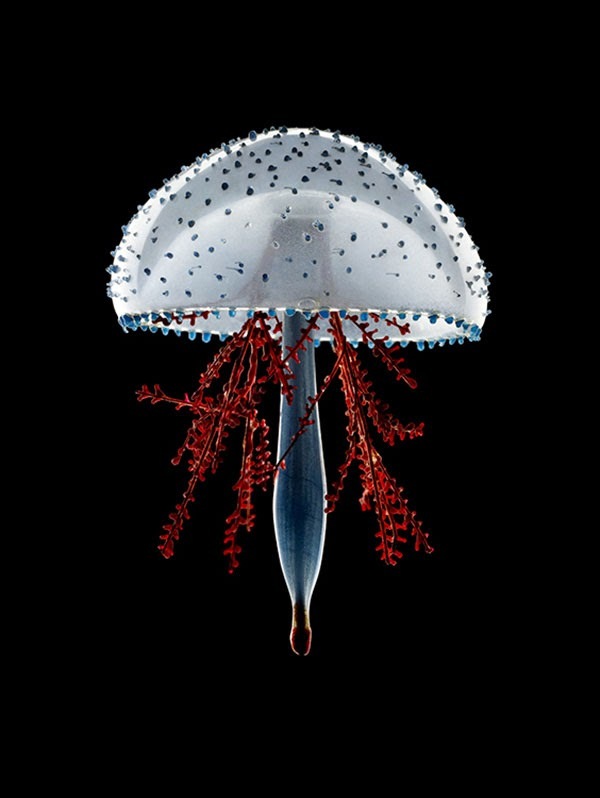 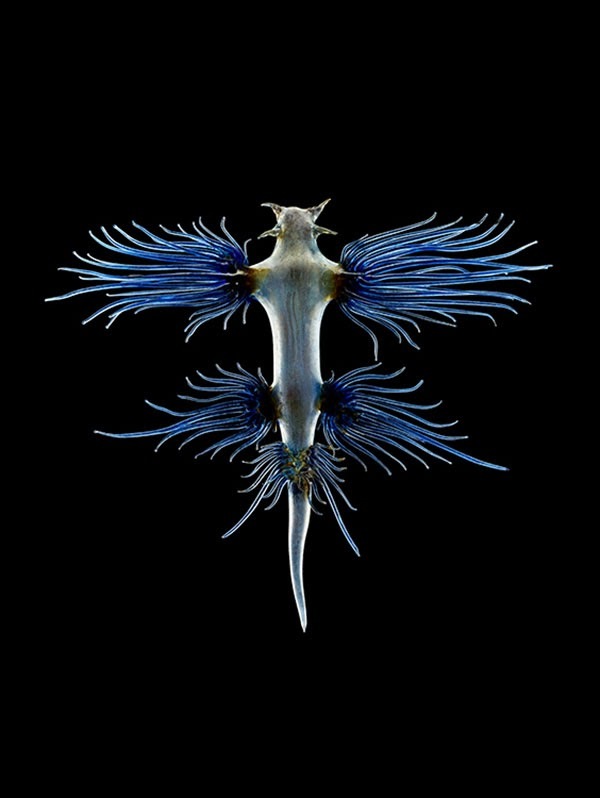 Originally from Bohemia, but based in Dresden, the Blaschka's were glassmakers working from the mid-1800s until the 1930s. 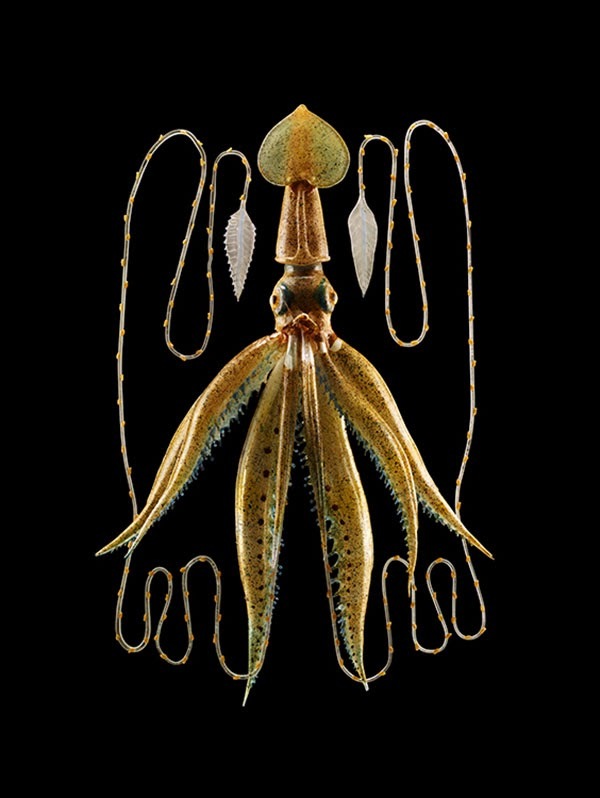 These masterpieces, created over both their lifetimes, are manufactured out of clear, coloured and painted glass and still exist in several museum collectives, including Harvard University Herbaria (Cambridge, Massachusetts), the Corning Museum of Glass/Cornell University and the Natural History Museums in London and Ireland, amongst others.